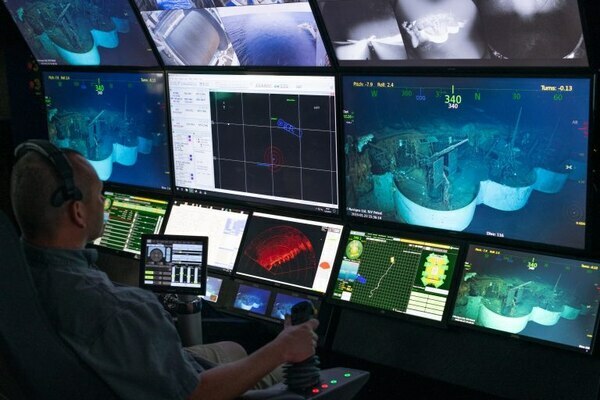 The research vessel Petrel crew members are no strangers to historic underwater archaeological discoveries, having located sunken World War II aircraft carriers, destroyers and cruisers scattered across the floor of the vast Pacific Ocean. 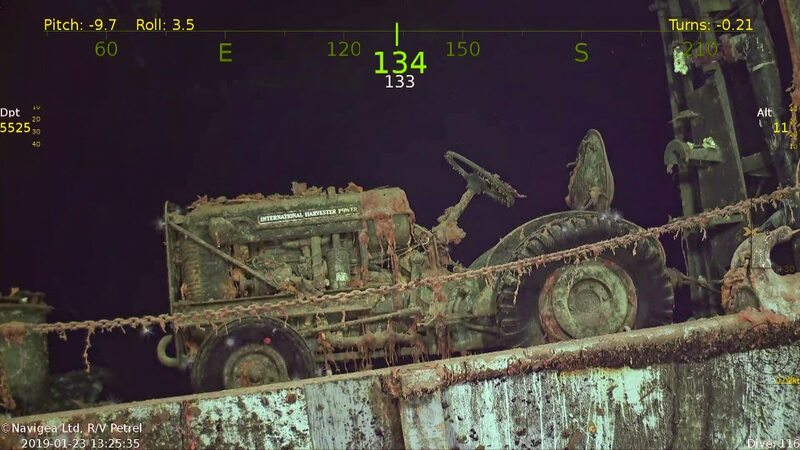 Originally championed by deceased Microsoft co-founder Paul Allen — a philanthropist who also owned the Seattle Seahawks — the Petrel crew found a new wreck about 3.3 miles below the South Pacific’s surface, the Yorktown-class flattop Hornet (CV-8). Finding the carrier famous for launching the harrowing April 18, 1942, Doolittle bombing raid on Tokyo — the first American air raid on the Japanese homeland since entering the war ― was the Petrel’s first mission of 2019, one that was documented and can be viewed as part of a two-part series on CBS. “We had the Hornet on our list of WWII warships that we wanted to locate because of its place in history as a capitol carrier that saw many pivotal moments in naval battles,” Robert Kraft, Vulcan’s director of subsea operations, said in a press release. Allen, who passed away on Oct. 15 in Seattle, helped blaze a trail for the crew’s previous finds, which included the Juneau, the Atlanta-class light cruiser famous for carrying all five Sullivan brothers, and the Indianapolis, the sunken Portland-class heavy cruiser that remains the Navy’s single greatest loss at sea. A total of 687 men from the Atlanta-class light cruiser died in the attack, including all five Sullivan brothers. Months after launching the Doolittle Raid and subsequently joining in a decisive naval victory at Midway, the Hornet sailed toward the hotly contested Solomon Islands — notably Guadalcanal — to provide air cover for U.S. ground forces mired in a seesaw campaign. 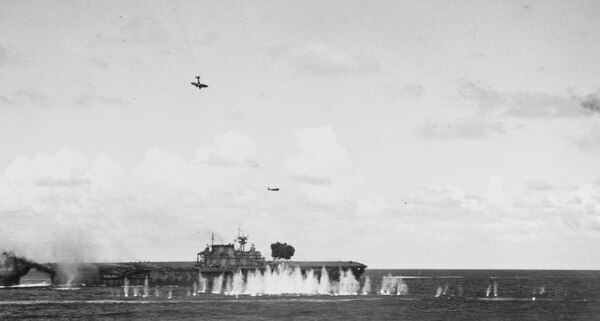 Learning that a large force of Imperial Japanese Navy ships were approaching, the Hornet and the aircraft carrier Enterprise maneuvered to attack. On Oct. 26, 1942, the Battle of Santa Cruz Island began. Aircraft from both navies pounded opposing ships. The Hornet came under a coordinated attack by Japanese dive bombers and torpedo planes. Within 10 minutes, the carrier was dead in the water, all power and communications disrupted. An 18-year-old gunner on board the Hornet, Richard Nowatzski, looked on frantically as his flattop was struck by three bombs and two torpedoes. “The two torpedoes that came in … it took that Hornet and shook it just like a dog with a bone," Nowatzski, now 95, told CBS News. “They used armor piercing bombs, now when they come down, you hear 'em going through the decks … plink, plink, plink, plink … and then when they explode the whole ship shakes. ... We stopped dead in the water." Two bombers damaged by anti-aircraft fire then slammed into the flattop, one into the carrier’s island and the other into its port side. Still afloat, the Hornet was being towed by the heavy cruiser Northampton until another wave of Japanese planes approached, one of which put a torpedo into the Hornet’s starboard side, causing a 14-degree list. Over a 35-minute span, 11 more Japanese bombers flying in two waves attacked the Hornet. Thirty-two minutes after the last bomb detonated on the carrier’s flight deck, Capt. Charles P. Mason gave the “abandon ship” order. Then four more dive bombers swooped down, scoring a hit on Hornet’s forward hangar. But the flattop still didn’t sink. Two American warships fired 16 torpedoes to scuttle the carrier. It continued to float. As enemy forces neared, they set Hornet ablaze with shell fire and hightailed it to the southeast to outrun Japanese scout planes dropping flares to signal the American retreat. Two Japanese destroyers fired four more torpedoes at the Hornet on Oct. 27 and the carrier finally slipped under the surface, ferrying the bodies of 140 American sailors with it. Nearly 77 years after the Hornet nuzzled into a watery grave, CBS shared the R/V Petrel’s crystal clear video with Nowatzki, who quickly noticed the gun he worked on those many years ago. With vivid imagery bringing on a flood of memories, the old sailor then cracked a smile. 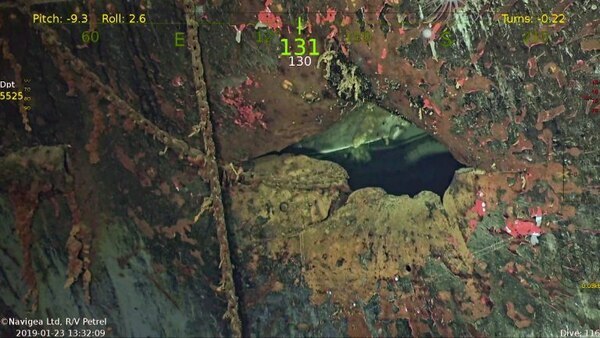 More photos from the R/V Petrel crew’s discovery of the Hornet can be seen below.